You’ve installed the Customizr theme and you'd like to display a carousel ( also named slider ) on your front page or in a page of your site like on the demo, here or here. 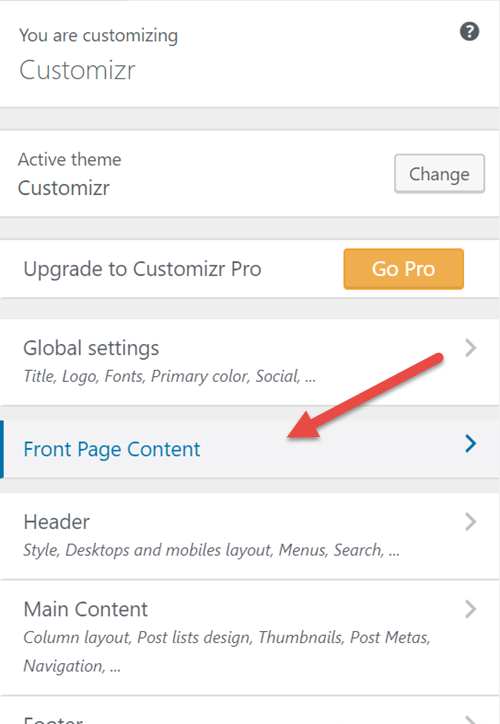 This documentation describes the process of slider creation in the Customizr free and pro themes. 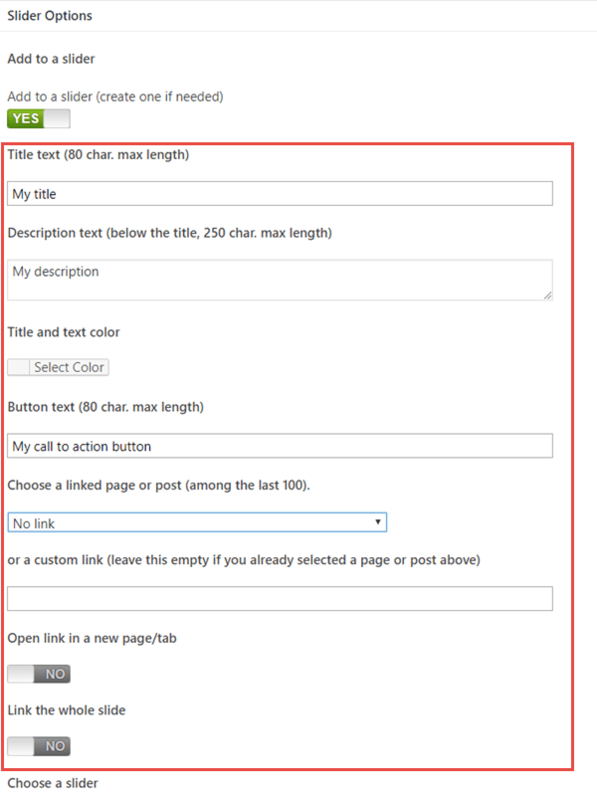 By default on home the Customizr theme displays a slider generated from your latest posts, using the post's featured image, if set, as background image, the post title as slide title, the post's excerpt as description, and the post's URL as link for the call to action button. A new set of fields to set up your slide will appear. Leave those settings empty if you only want to display an image only. Note : The background color of the call-to-action button is the primary color of the theme. 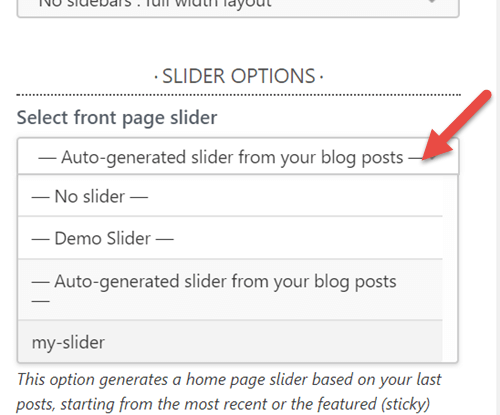 click on "Edit the slide"
Open the Front Page Content section and click on the slider dropdown list. 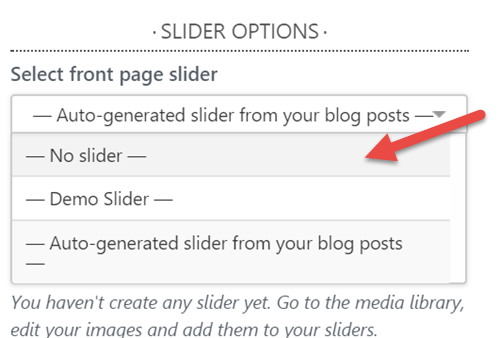 You should see your freshly created slider in the list now. Just select it, save and you are done. Choose the slider options : full-width or boxed, delay between slides and whether or not apply a dark overlay on the slider's images. Note : The option Apply a dark overlay on your slider's images is available only for the modern style. 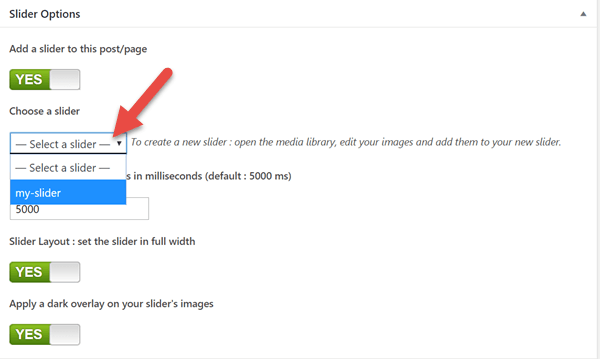 Choose the slider height, choose whether to apply to all sliders, and whether to replace the default image height. Open a page or a post and go to the bottom of the screen. 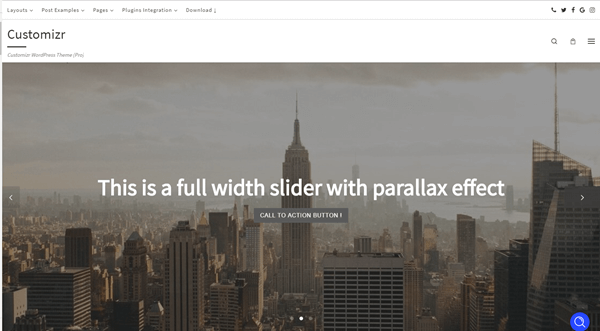 There you’ll find a metabox called Slider Options. Click on the iphone like button below Add a slider to this post/page and select your wanted slider in the dropdown list. 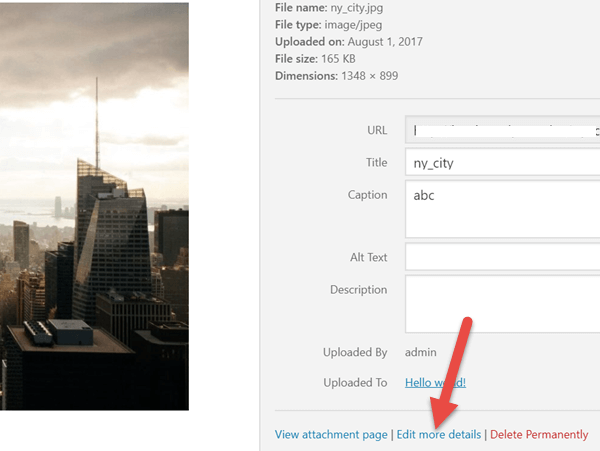 On the top right corner of the slides list, you’ll find a clickable link called Delete this slider (see below). Just click it and confirm the action in the pop in window. Customizr Theme : What images dimensions for my slides? I already have pictures in my media library, will they fit to the slider dimensions?